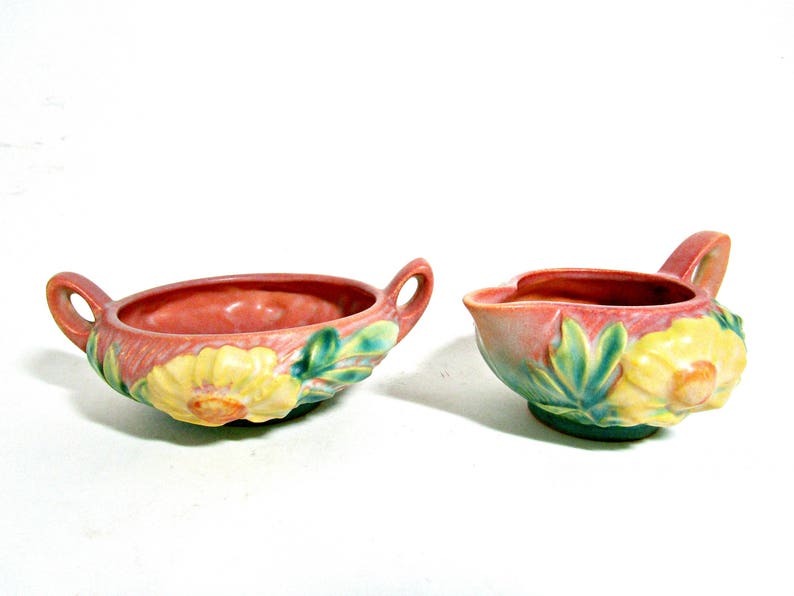 Perfect set by Roseville Pottery in the lovely Peony pattern. The glazes are milky pinks, greens, blues and yellows, very pretty. There are no chips or cracks, some light crazing as to be expected. Difficult to find set in such great condition, and a perfect gift or addition for any collector of Roseville.